Took this shot recently at the local exotic car dealership. The fast lines of the Lamborghini Aventador with a Ferrari in the background. This was a B&W jpg, out of camera with the in camera Red filter. I tried to highlight the hard fast lines of the Aventador’s headlight structure and shot with a shallow DOF to show the ferrari out of focus in the background. The Aventador in this shot is a silver colour, which I find always looks great in B&W. 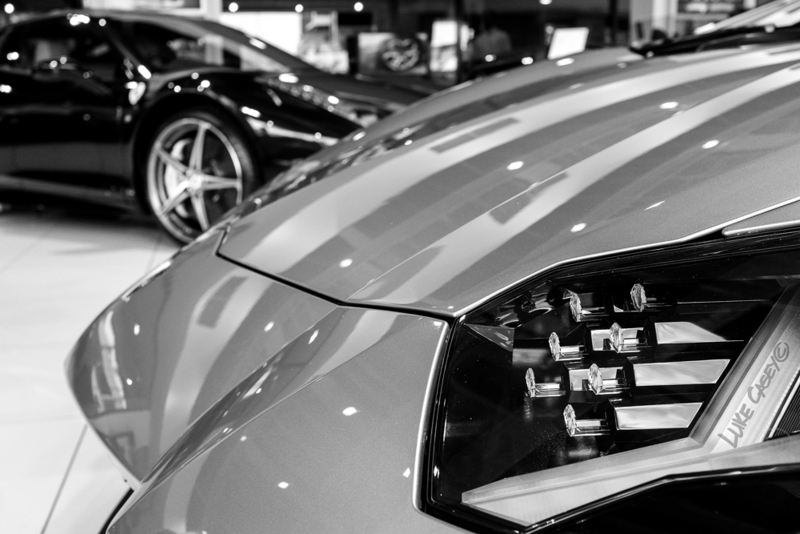 Posted in abstract, B&W, BokehTagged exotic, fast cars, Ferrari, Fujifilm, FujiX100S, jpg, lamborghini, lamborghini aventador, lines, OOC, X100SBookmark the permalink.